Wazee Digital has updated Core to provide all users with an enhanced Previous Search Feature. 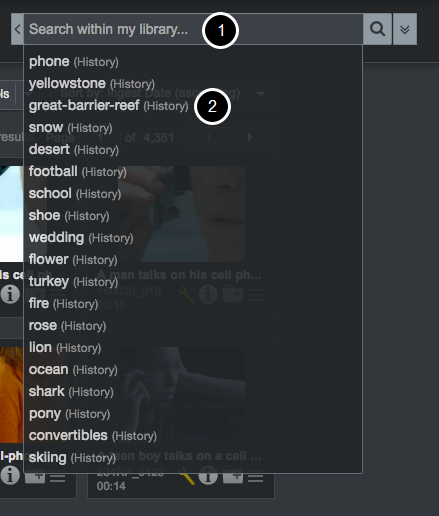 As a user begins to type into Core's search bar, they can now view and select from their most recent previous searches. For the fully detailed Core User Guide section, see Search your Content. Please note that if 20 previous searches do not exist, then only the number available will be shown.